Space Odyssey is the first LP by Goofans United. 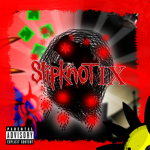 The level pack was done by the 2 active members of the union, .SlipKnoT._2_2 and the creator of the LP itself, gooey goo. The chapter includes 6 levels, all created by gooey goo. 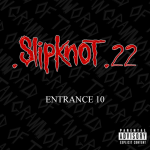 SlipKnoT debugged all the levels and created the LP's structure. The level pack is actually a trashed/shelved project of gooey goo that SlipKnoT saved. 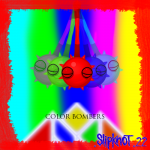 "Color Bombing" is the second single level from the chapter Color Citadel, a part of World Of Tangram series. 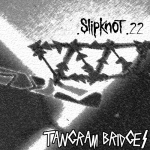 It was released 2 days after the release of "Tangram Bridges." This level is the lead single level for the chapter. It has 3 sub-levels. "Tangram Bridges" is the first single level from my tenth chapter called Color Citadel which is a part of the chapter series World Of Tangram. This is my newest release after 4 long months. 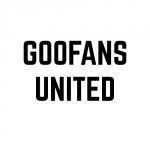 The goofans website experienced potential end. The problem was resolved because davidc hired Jim2102 as the newest moderator. The level includes see-saw structures which will act as bridges. This level also features a new gooball called "Small Triangle 1." 10 balls is the level requirement. SlipKnoT IX is my ninth chapter. This is the first double-chapter. The 2 parts are “Prelude 9.0” and “Adventure in Falls.” This chapter was created with “blood, sweat and tears” due to the different problems that I have encountered while the chapter was being created. It was processed from May-June 2015, a few days of September and the last week of October 2015. It became my fastest chapter to be downloaded in 2 weeks on November 22, 2015, beating several previous chapters on the downloads chart. It got #1 place on the downloads chart for 4 weeks. "Demolisher" is my 23rd single level for the 2-part chapter SlipKnoT IX. It is my newest single level since April 2015's "Go Long." 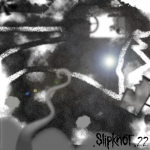 It uses older SlipKnoT level elements that were used on a variety of my levels. It is my first new level for 3 long months because a number of things happened so I couldn't work on my new chapter. This single level's v1.1 will include 1 bonus level.